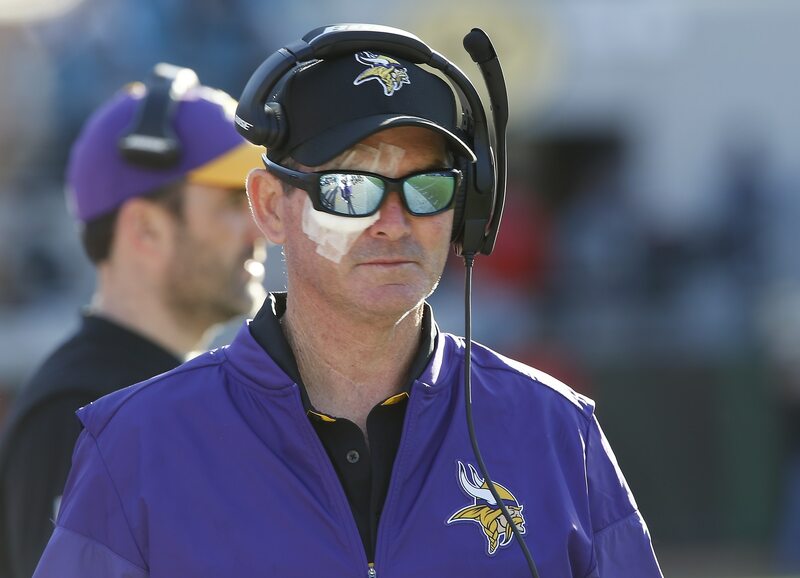 Minnesota Vikings head coach Mike Zimmer recently underwent surgery No. 8 on his right eye, but no matter what happens going forward he said he won’t retire. Even if he ends up going completely blind in that eye. Zimmer suffered a detached retina last year, requiring emergency surgery. His latest surgery, which will keep him away from the team for a couple weeks, was performed to remove an oil bubble in the eye and replace it with an air bubble. Regardless of what happens following this latest procedure, Zimmer told reporters he expects to return to the team shortly. Mike Zimmer: "I’ll be back shortly. One eye or two, it doesn’t matter. I’ll be back. We can put that retiring thing to bed quickly." Since joining Minnesota in 2014 following a long stint with Marvin Lewis as the defensive coordinator for the Cincinnati Bengals, Zimmer has led the Vikings to a record of 26-22. In three seasons, The team has qualified for the playoffs once (2015), losing in heartbreaking fashion in the wild card round to the Seattle Seahawks.